This iconic original federation building need some love and restoration. 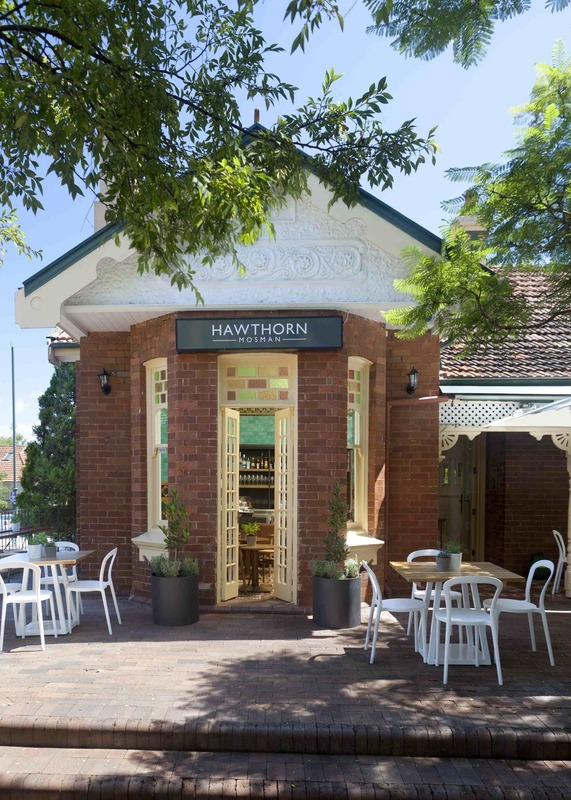 Formally a generic suburban café, what stands now is a much-frequented social hub. The refurb was about returning the tarnished character to the building while presenting a fresh, modern bistro for its owner Sean Byrne. Previously manager at Jonah’s, Whale Beach, this was Sean’s first venture out on his own. It was imperative the interior was received as “Sean’s place”. A casual but special everyday eatery. The refurbishment created multiple zones within the premises – a bar area paid homage to original deep turquoise full-height wall tiles by treating the rest of the fitout in this space very simply. Rustic timber and zinc tables, and a nod to nostalgia with petite chesterfield buttoned tub chairs. 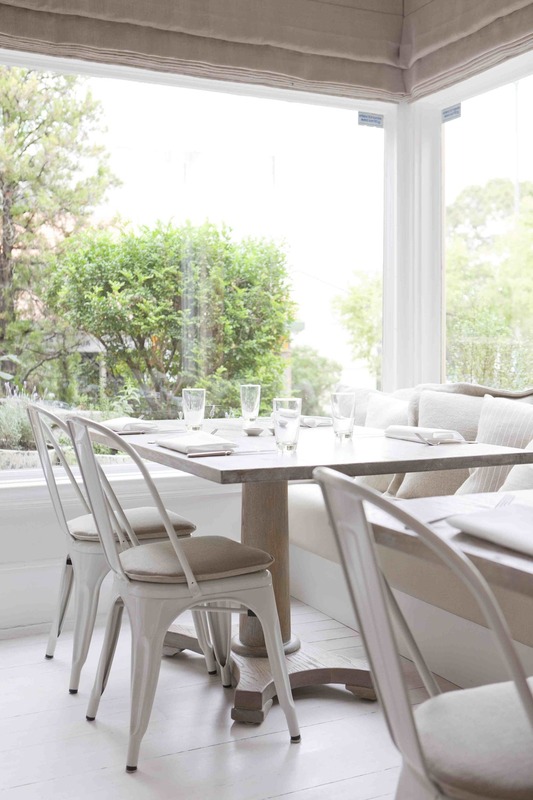 The main dining area was given a fresh new image and the original kauri pine boards were limewashed. The walls, trims and plaster surfaces were also painted various shades of white. Solid oak pedestal tables and modern square steel-frame tables were incorporated with plush linen window treatments. 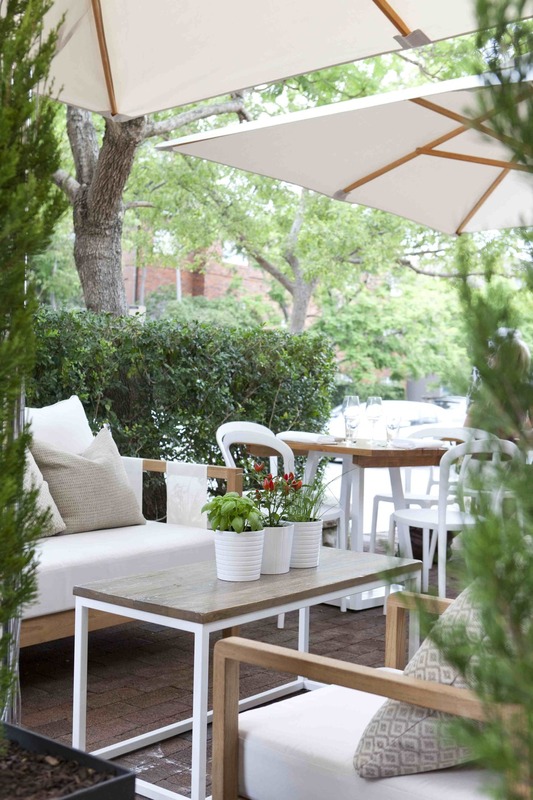 The front verandah and patio was furnished with lightweight white steel and timber tables, large white marquee umbrellas and a generous lounge and armchair setting. Soft garden planting helped complete the look. Project completed while at Coco Republic.